The first Mitsubishi that I ever came into close contact with was my dad’s Colt hatchback. Rebadged as a Dodge, the five-door was a daily-driven delight. With a manual gearbox, stellar fuel economy, room aplenty for baby seats, and nary a mechanical issue to be seen over multiple years. It was a light grayish color, so we named it The Silver Bullet, and dammit if we didn’t take that thing everywhere. Trips down to the beach, up to hot springs in Arkansas, and over to every roadside produce stand imaginable were made in this little guy, and we loved our little Silver Bullet for all the right reasons. Years later, I was left flabbergasted to find that this little hatchback was made by the same company that produced all-wheel-drive sports cars with twin turbos and active aero, and that they also made machines like the capable Montero. From there it was on to drooling over the sleek Eclipse, realizing that the Starion and Conquest were indeed the same vehicle, and eventually, driving the Lancer Evolution Final Edition as an auto journalist. It pains me to no end to see a brand that I had admired for so long be reduced to what it has become, and for all of those stumbles and missteps, I still truly want to see the brand succeed. 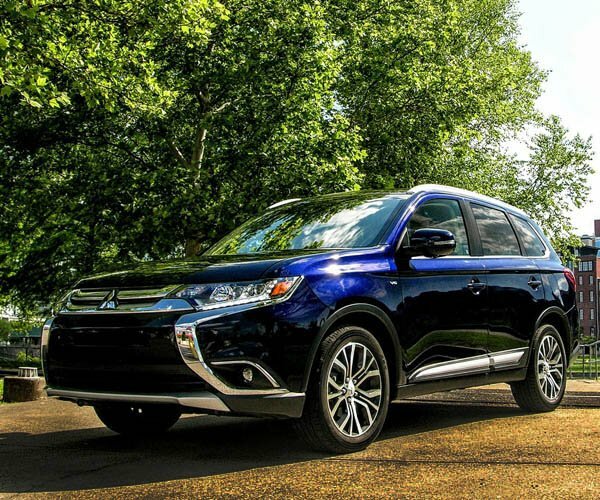 Mitsubishi is one of those automakers that many were not expecting to prevail, yet via one move or another, here it stands. 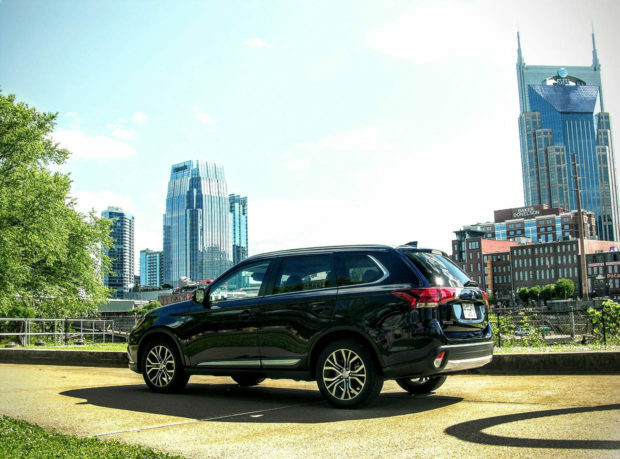 So in order to rehash the past while seeing what the brand’s flagship has on deck, I took the latest Outlander GT on a little family trip down to Nashville in order to see what the three-rowed SUV had to offer. What I discovered was that despite a few annoyances, there are quite a few things that the triple diamond badge is doing right, and it gives me hope for the brand’s future. 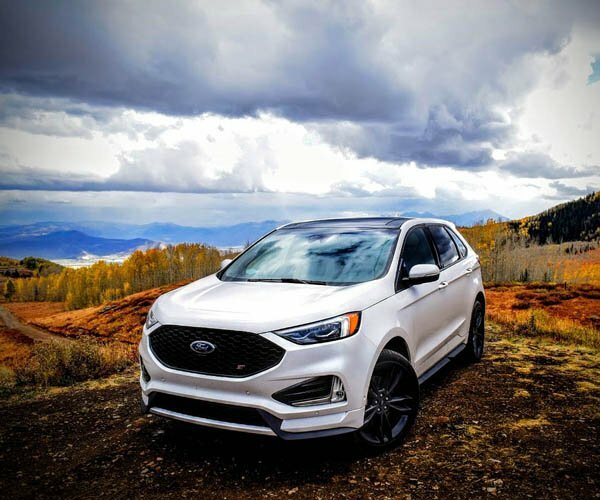 We’ll start with the good stuff, because there are quite a few things about this SUV that make it worthy of consideration if you are in the market for something with three rows and all-wheel drive. 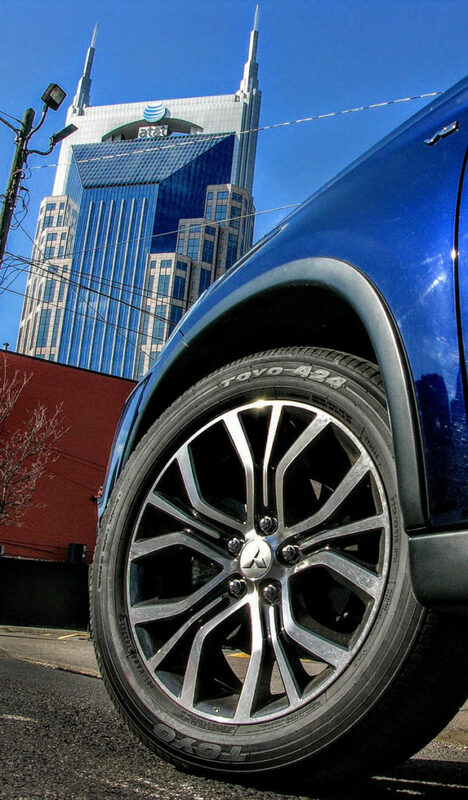 For starters, Mitsubishi has a really nice warranty in place that covers the powertrain up to 10 years/100,000 miles, along with 5 years/60,000 miles of new car coverage, and unlimited roadside assistance and corrosion protection. 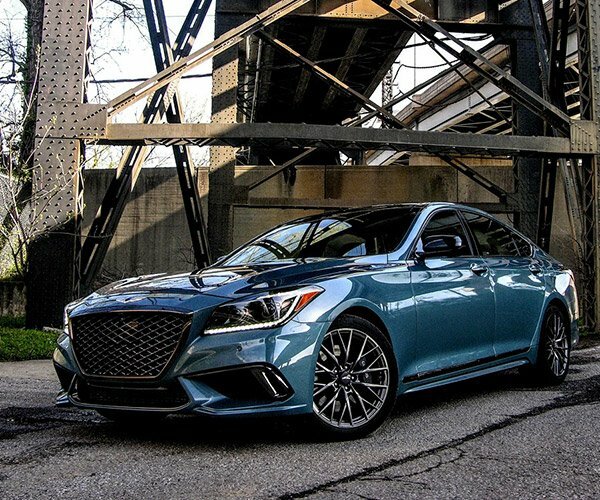 It also only costs an additional $1,000 in order to add the optional GT Touring Package, which gets you things like forward collision mitigation, lane departure warnings, adaptive cruise, and automatic high beams. This means that a loaded Outlander GT with a V6 and Super All-Wheel Control (S-AWC) only costs a cool $34,160 after destination charges. 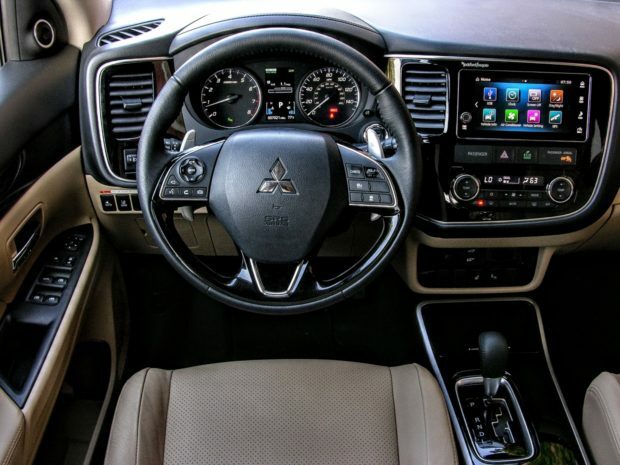 There also are things like a banging 710-watt Rockford Fosgate audio system, an electronic e-brake, a handy-multi-view camera that even runs while at higher speeds, passive entry, Apple CarPlay and Android Auto, a power liftgate, and an easy-to-use 7.0-inch touchscreen with pretty good mapping and menu drop-downs. It also has a healthy amount of under-cargo storage in the back, and with the third row folded flat, cabin space is competitive. 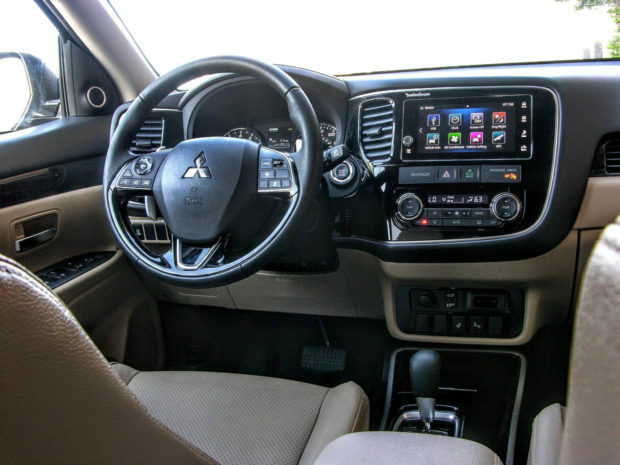 Seating is leather-bound and quite comfortable even during prolonged drive times, basic commodities are all easy to access and generously sized, both front seats are heated along with the leather steering wheel, and second row space is good for the segment. 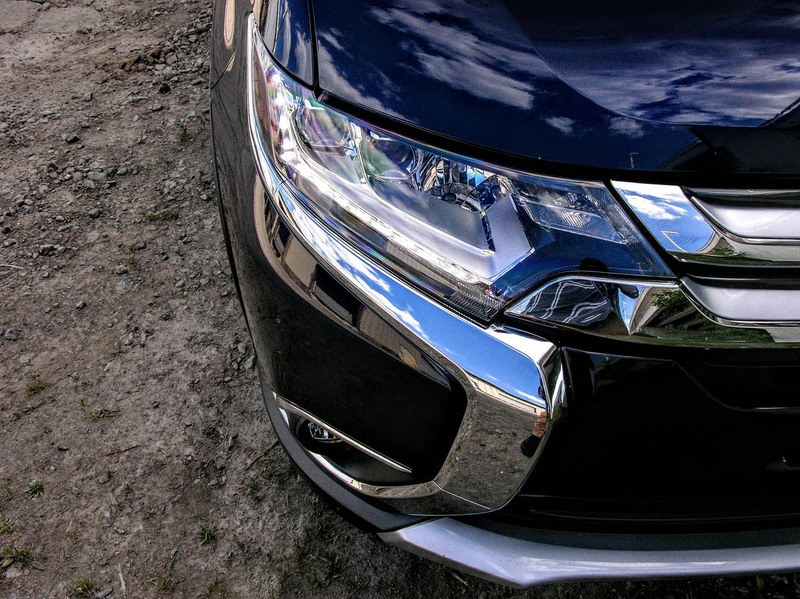 Appearances are another thing that help make the Outlander GT shine, for it does not sport an overly busy design, and the combination of tasteful accent portions in varying materials and uncluttered angles make for nice SUV lines. 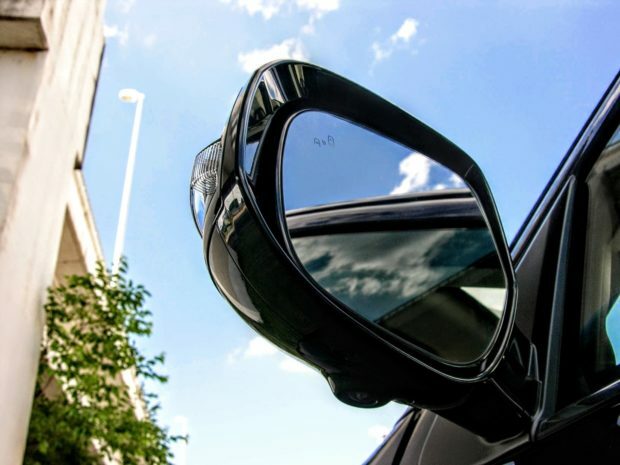 The addition of snazzy 18-inch alloy wheels and LED lighting front and rear are also nice, and while there is a healthy amount of chrome up front, it is tastefully done and will more than likely attract buyers. Account for the addition of integrated roof rails, power-folding mirrors, rain-sensing wipers, LED fog lamps, and a smooth high-speed road presence, and the Outlander GT definitely seems to be pushing in the right direction. But after spending quite a few hours behind the wheel on the way down to Nashville and back, the Outlander’s underwhelming performance attributes became impossible to ignore. 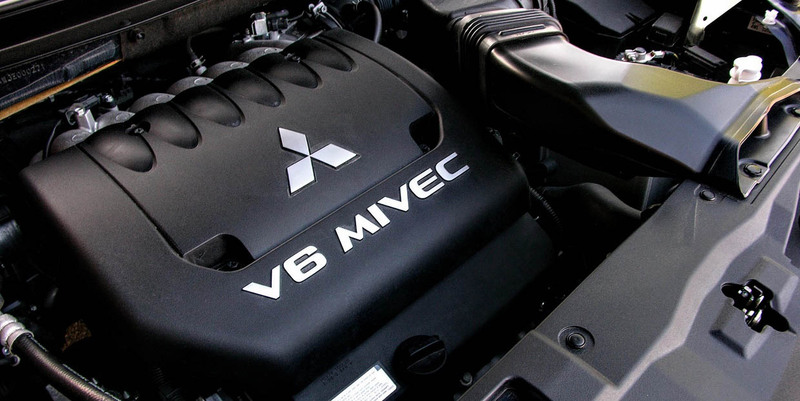 V6 power tops out at 224-horsepower, with only 215 foot-pounds of torque supporting low end acceleration, making mashing the gas to the floorboard an all-too common occurrence when merging and passing. I’ve encountered naturally aspirated 4-cylinder engines that make almost identical amounts of power, and in something weighing almost two tons translates to 22 mpg averages and a sluggish driving experience. Steering, handling, and braking all proved to share the same level of zest for life as the engine under the hood, a far cry from the Mazda CX-9, a vehicle that to me remains the reigning king of fun to drive and affordable Japanese three-row SUV options. In contrast, the Outlander GT is a squishy, disconnected experience that leaves you wondering how the same brand that produced so many outstanding performance vehicles over the course of the past few decades could make something so underwhelming for fans of driving. 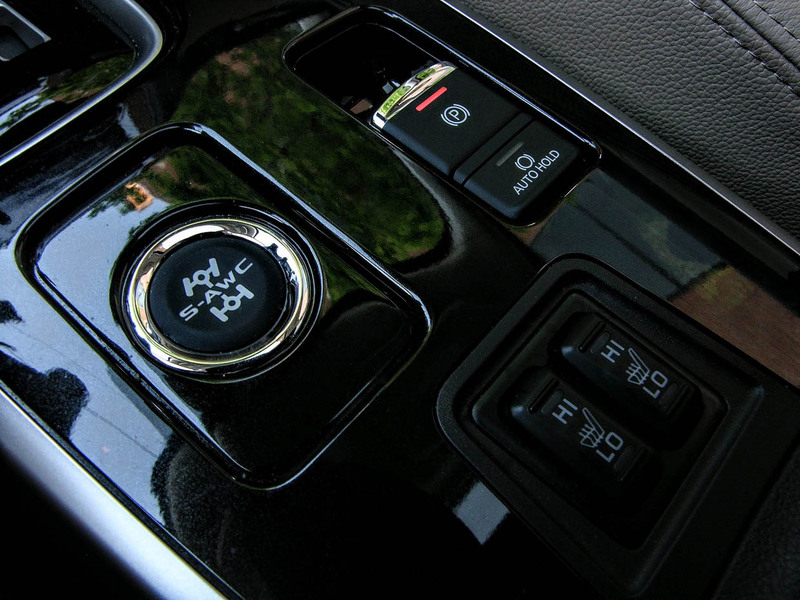 Granted, the brand’s clever S-AWC system does still do a fantastic job of keeping the vehicle planted and pointed in the proper direction, with Eco, Snow, Lock, and Normal settings being the set options for drivers, a setup that has always impressed. In Mitsubishi’s defense, there are also a lot of the family-focused features at play within the Outlander GT that deserve recognition, and that for people who don’t care much for performance driving feels this SUV should cut the mustard. 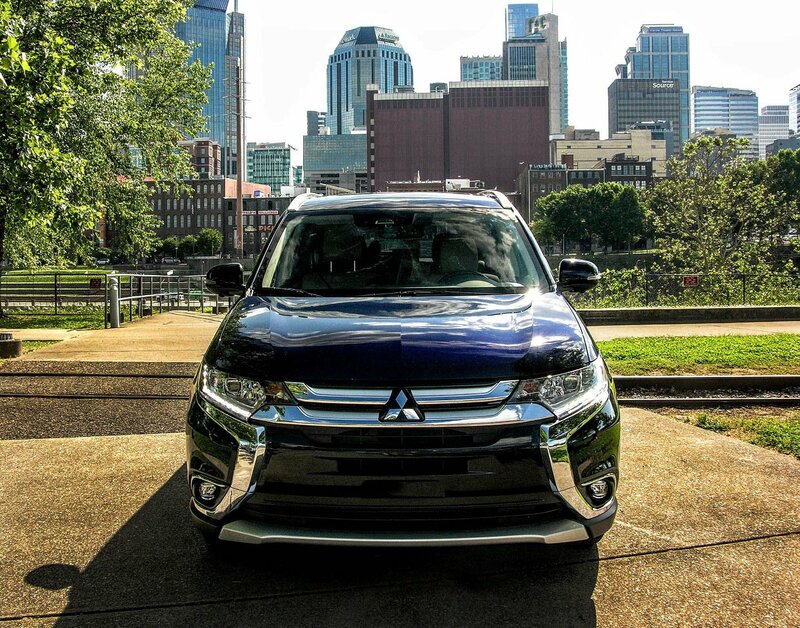 But there also is entirely too much disconnect within key portions of the Outlander to make it a top buying choice. For instance, having only two USB ports throughout the entire vehicle is a huge miss, especially since the average family is more tech connected than ever before. 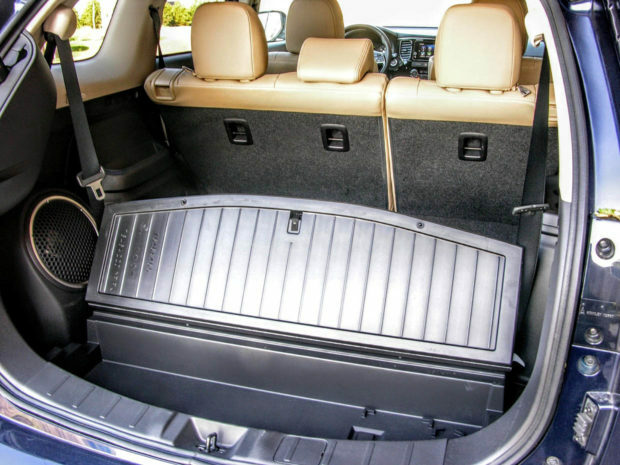 Despite its generous under-storage in the back, stowing solutions don’t even come close to touching what one finds in say the Honda Pilot or GMC Acadia. On paper everything looks great, but when compared to everything else in this extremely competitive segment, the Outlander still feels half-baked.